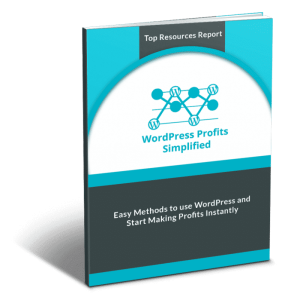 Discover how you can use your wordpress skills to make money online and earn a passive income with our 12 part wp profits simplified video series. If you can’t use your WordPress skills & months of WordPress learning in right way to make good money for yourself and for your family, then there is no sense of putting efforts into it anymore and success will always be a distant reality. Are you aware about huge profit potential that you can accrue with your WordPress skills? Are you willing to earn cool passive income by putting your skills into practical implementation? Let’s be honest, did you achieve what you were looking out for. We will provide you with a simple, easy and point-to-point guidance that will assist you IN THE PROCESS without wasting time and money. 50% of all WordPress themes on ThemeForest have made at least $1,000 in a month. Micro-Niche themes for WordPress have made as much as $20,000 in sales in just 1 month. WordPress related keyword score 37 Million searches/month. WordPress Developers charge as much as $50/hour for nominal projects. 76.5 Million Blogs run on WordPress. TODAY, WORDPRESS OFFERS ONE OF THE MOST EASIEST, POWERFUL AND PROFITABLE BUSINESS METHODOLOGY TO PROVIDE HIGH END SERVICES TO CLIENTS AND BECOME SUCCESSFUL. How about creating just 1 plugin or getting a business owner as a client each month? What can you make from these 12 new opportunities every year? Tons of money! Right? That’s not all, if you have WordPress Skills, you can also start a niche site and start earning money online with advertisements and affiliate promotions without investing lot of time and dollars. Surely, now you would be dying with CURIOSITY in order to achieve success with the best use of WordPress. 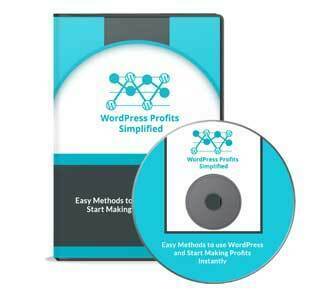 Introducing: WordPress Profits Simplified HQ Video Training! It’s a proven fact that VIDEOS are the best way to PUMP UP your learning so you don’t go in wrong direction and can use our WordPress profits methods in right way to enjoy more and more profits and money for yourself. Earning cool passive income by providing WordPress services to business owners and charge 10s of thousands of dollars each and every month & keep 100% profits in your pocket. This training will also train you on how you can do niche research and enjoy 50-100% commissions for products and services you promote. Here’s a brief insight into the great assistance that we have in store for you with our exclusive HQ video training. In Video #1 You will have a basic introduction that will guide you easily through the process. 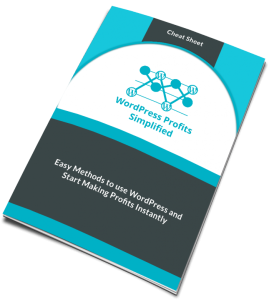 You will get to know how to make money with your WordPress skills that you have learned and how to implement them systematically. In Video #2 You will learn how to install themes from Themeforest and Free Themes. Themeforest is an online marketplace where you can buy WordPress and install them on your website. In Video #3 You will get to know details about how to design a website for offline business. Here you will learn the basics of website creation that are very helpful for you. In Video #4 This video is the second part of the offline website design and it will enable you to move ahead in a focused direction. In Video #5 You will be able to know about client acquisition for offline clients. This video is of prime importance as many marketers don’t actually know how to acquire their first client. In Video #6 You will get helpful information about how to do client maintenance. It comprises of various tools that have been mentioned here. In Video #7 You will come to know about niche or affiliate offer research. It will help you to find out what offers to promote and also how to find specific keywords to promote the offers. In Video #8 This video is a continuation of the niche or affiliate offer research video. Now, you have a list of the offer to promote and now you can find long tail keywords to rank through various search engines. In Video #9 You will get information on niche or affiliate website design. Here, you will get important tips on how to optimize your website to get best results for your business. In Video #10 You will know details about various freelance websites and how you can use them to increase your chances of becoming successful without much efforts. In Video #11 You will know how to bid on projects on various freelance websites. It will help you to complete the process without much hassles. In Video #12 This is the conclusion video that will help you to revise what exactly you learned with this specific course, and how to use these strategies to boost your business. Here you will have access to a complete niche research report regarding its immense potential. Mate, now all the efforts for making money online using your WordPress skills have been taken at our end. You just need to follow our methods, and see money flowing rapidly to your bank accounts. Using WordPress skills to increase your profits will not be a PAIN-GIVING task anymore. You just need to apply these proven techniques in a specified manner, and let your profits GALORE. You might be wondering how we can be so super confident about the information that we are providing in this video training series. The reason is Simple- We have used the strategies that are TESTED AND PROVEN over a considerable span of time. Only way you will not succeed is by NOT TAKING ACTION. 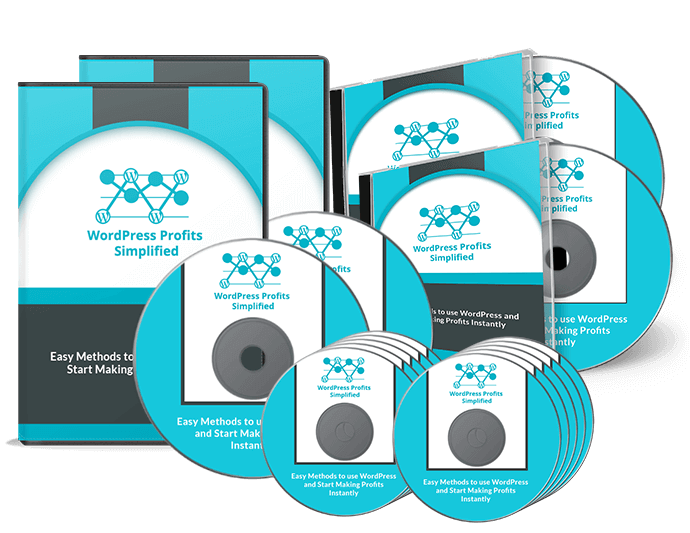 Download our “WordPress Profits Simplified” HQ VIDEO Training TODAY! There is no ROCKET SCIENCE involved in using WordPress for making money online. It just needs a Careful and Planned approach. So, get up, and START NOW to see your profits growing BIGGER AND BIGGER.